Color: Black, Grey, Blue, Natural etc. We are manufacturer of underground Diesel/petrol/chemical storage tank for B.P.C.L, H.P.C.L, IOCL as per IS Standard & also provide NOC/LICENSE from EXPLOSIVE DEPARTMENT for the same Capacity of Tank is 10KL.15KL, 20KL, 25Kl , 90KL or as per requirement of customers. These tanks are designed by experienced engineers, who strive to provide adequate storage space for the clients. 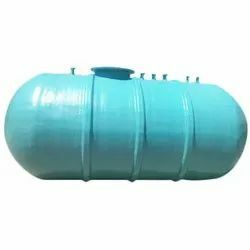 We are Leading Suppliers of Underground Storage Tank also known as Storage Tanks, Diesel Underground Storage Tank, Underground Tanks. Matching up with the requirements of our clients, we are involved in offering Diesel Underground Storage Tank. 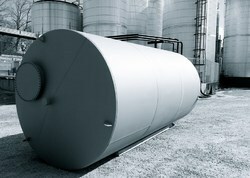 We have established ourselves as coveted organization, involved in providing Underground Diesel Storage Tank Fabrication.